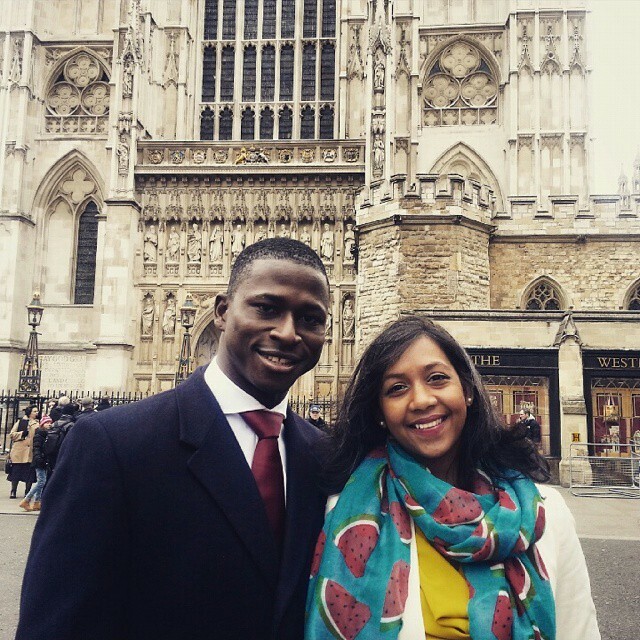 Queen’s Young Leaders PJ Cole and Barkha Mossae had the honour of meeting Her Majesty The Queen at an event organised for Commonwealth Day 2015. 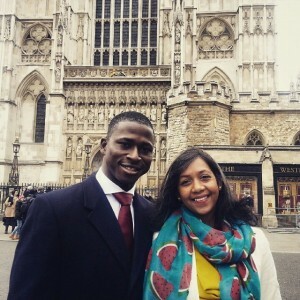 The Observance, which recognises the 53 nations that form the Commonwealth, took place at Westminster Abbey in London. The theme for this year’s event was A Young Commonwealth, reflecting the fact that people aged 29 and under account for the majority of the Commonwealth’s population. During the service PJ spoke about his work as the Executive Director of Lifeline Nehemiah Projects in Sierra Leone. He talked about how the organisation was originally set up by his parents to help child soldiers and is currently involved in the fight against Ebola. Barkha also gave a Bible reading during the service, which was organised by The Royal Commonwealth Society. Afterwards the pair met The Queen, The Duke of Edinburgh, The Prince of Wales, The Duchess of Cornwall and The Duke and Duchess of Cambridge. PJ said: “They shook hands with all of us and we were able to speak with them. The Duke of Cambridge told me he was very interested in my work and that he would follow it closely. All of the Queen’s Young Leaders will meet Her Majesty The Queen during their visit to the UK in June.